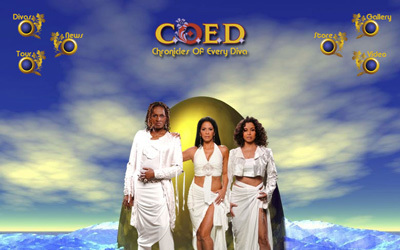 Website designed for C.O.E.D., Chronicles Of Every Diva, featuring drummer Sheila E., guitarist Kat Dyson, and bassist Rhonda Smith. The goal was to create a unique futuristic look by using different backgrounds for every page. It features a flash animation of moving water, photo slideshow, video and PayPal shopping cart. 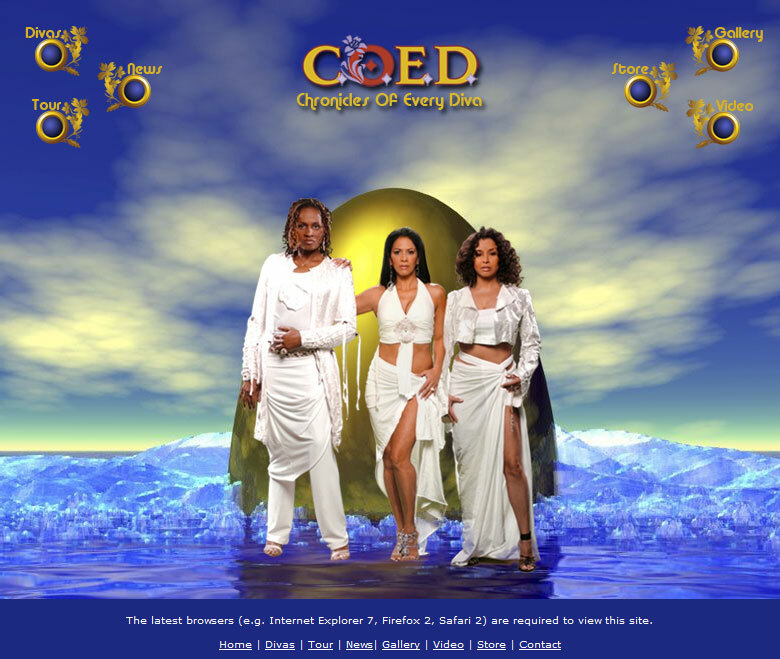 Website designed for Image Producer, Costume Designer and Celebrity Stylist Roni Burks’ company 4 Behind The Scene. The key features are a photo slideshow and video to showcase her work and clients. 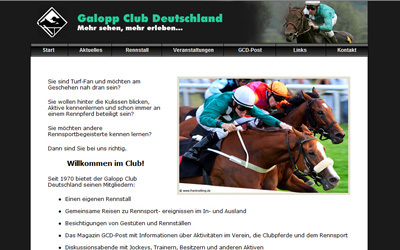 Galopp Club Deutschland is a German horse racing club. 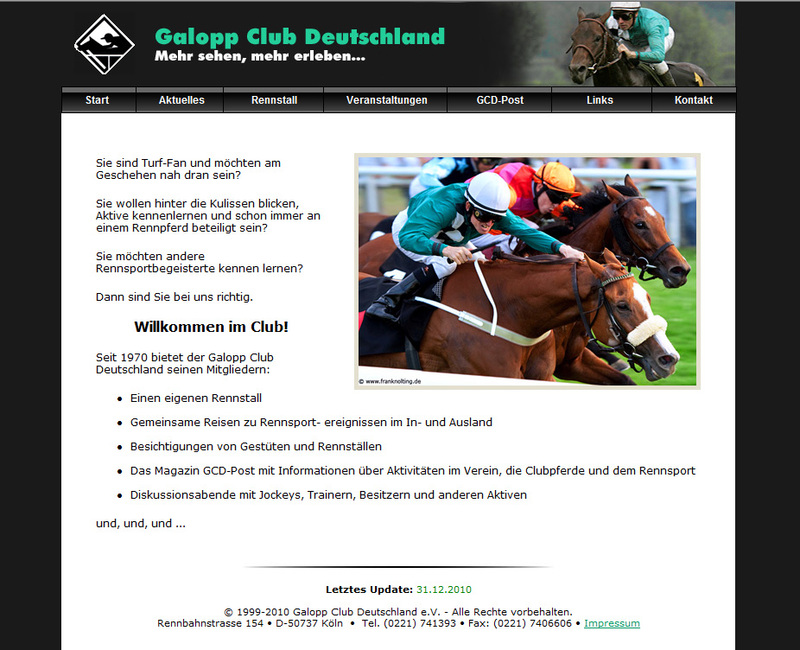 The website was developed to keep members informed about present and past events as well as provide information about the horse racing sport and the club in particular. Sheila E. is a drummer and percussionist, best known for her work with Prince, George Duke and Ringo Starr. 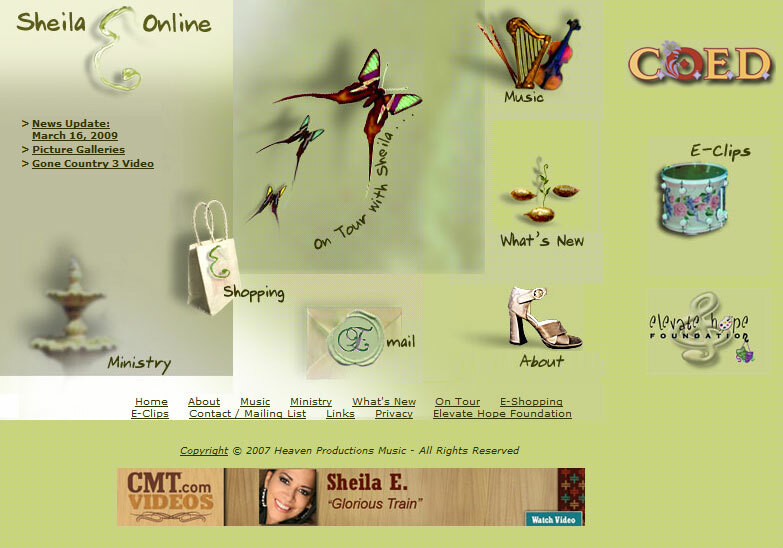 Her website was built out by adding multimedia features as well as flash animation. The news section was revised and updated several times a week to make the site more current, and an email newsletter was developed to increase subscriptions to her email list. 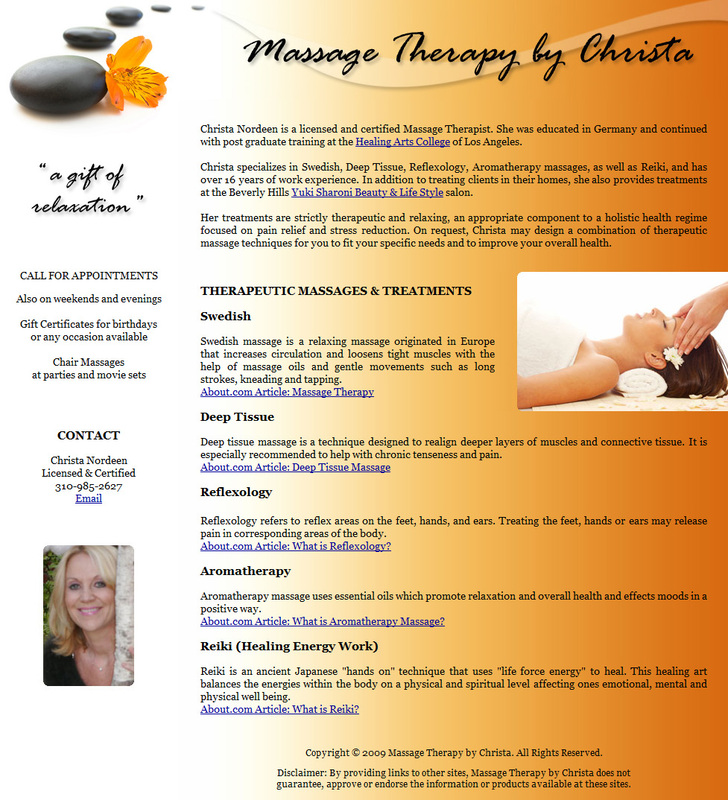 Website for Massage Therapist Christa Nordeen. 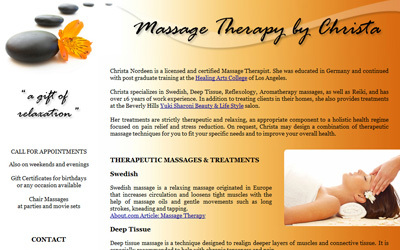 This one page website was designed to showcase her bio and treatments offered. 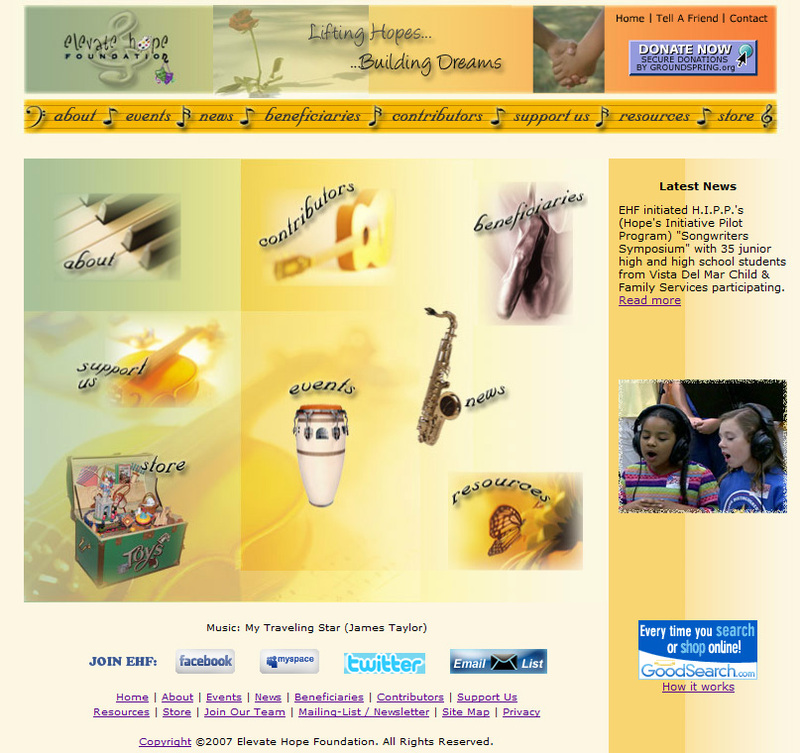 Elevate Hope Foundation is non-profit organization dedicated to providing abused and abandoned children an alternative method of therapy through music and the arts. 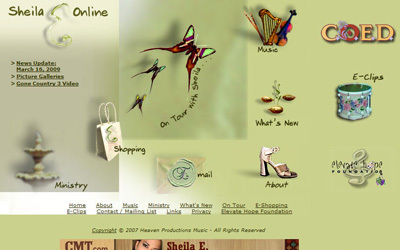 The website combined an artistic design with a clean and intuitive interface. 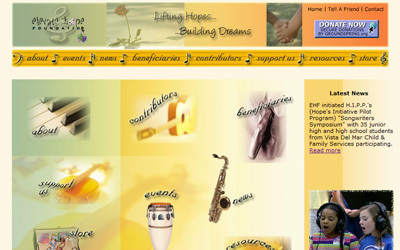 It featured an online donation system, web store, music, video, photo slideshows, email newsletter as well as resources about child abuse.